How to Rule the Digital Space with a Strong Online Presence in 2017? With every New Year, there are some nascent beginnings and new resolutions to be made. People make new plans not only for rejuvenating their personal life but also for ensuring their professional well-being. Each year, we are progressing rapidly to the digital age. Whether you are an aspiring author or seasoned publisher, you need to streamline your online presence with a strong digital identity. There are many strategies that work effectively in this regard. 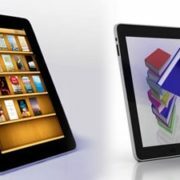 From updating your blog to maintaining the website, there are numerous ways to strengthen your e-publishing efforts further. Here are the 3 methods that pay rich dividends to the authors through an enhanced visibility in the online spaces. It is needless to say that website is critical to maintaining your digital presence. Owning a website is no longer a matter of choice. In fact, it is an important requisite. However, you must keep your site updated and enrich its content with meaningful information. 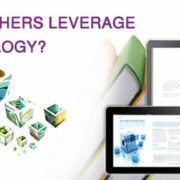 Most importantly, assess it on the parameters like design, content, and engagement. The design should be subtle, uncluttered, and stunning. The content must be informative and relevant. Moreover, the overall layout must be engaging for the users. The site must have links for pre-ordering or buying the books. There must be backlinks to the leading authority websites. The call-to-action buttons like signing up for the newsletter or annual subscriptions must be simple, clearly visible, and well-defined. Remember, you have only a few seconds to retain the visitors on your digital properties. Hence, you must create compelling content with an intriguing presentation to keep them engaged for long. Even if you have your presence on every leading social platform, it can’t offer you anticipated outcomes unless you keep an eye on these profiles. The bio given on each social media site should be complete and linked to other platforms. 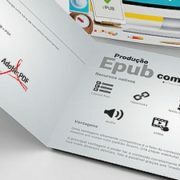 Use effective and HD quality cover images. Make postings on a regular basis. You can make a schedule for the same. Don’t leave any of these accounts unused for years. Maintain and update them regularly. If you are looking to build lasting relationships with the readers, you ought to offer them valuable insights at regular intervals. Blogging is the best way to do that. Maintain your blog with fresh content that truly adds some value to the life of your readers. Make a calendar and post at least 4-5 blogs monthly. While publishing the blog posts, remember that they must reflect your niche and brand values. Integrate relevant images as well as videos into this content for making it more impactful for the readers. If you are covering more than one niche in your blog, divide them into separate categories to facilitate them in finding their favorite posts easily. These are the steps that can also be defined as the digital audit of your online presence. However, it needs a balanced approach and certain competencies to understand the technicalities of maintaining these assets. 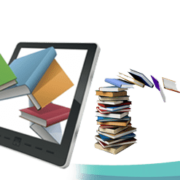 In this regard, you can trust the expertise of Infognana for providing efficient e-publishing services to the current and wannabe authors. https://www.infognana.com/wp-content/uploads/2017/03/e-publishing.jpg 255 680 Infognana https://www.infognana.com/wp-content/uploads/2017/02/Logo.png Infognana2017-03-27 09:07:572017-03-27 09:07:57How to Rule the Digital Space with a Strong Online Presence in 2017? 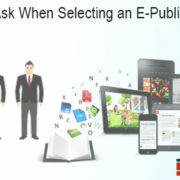 How effective epublishing services and outsourcing? 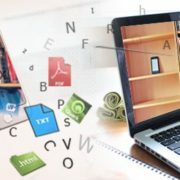 How to Improve Your Online Publishing Business Using XML Conversion? 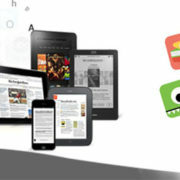 How Can Publishers Leverage Mobile Technology?